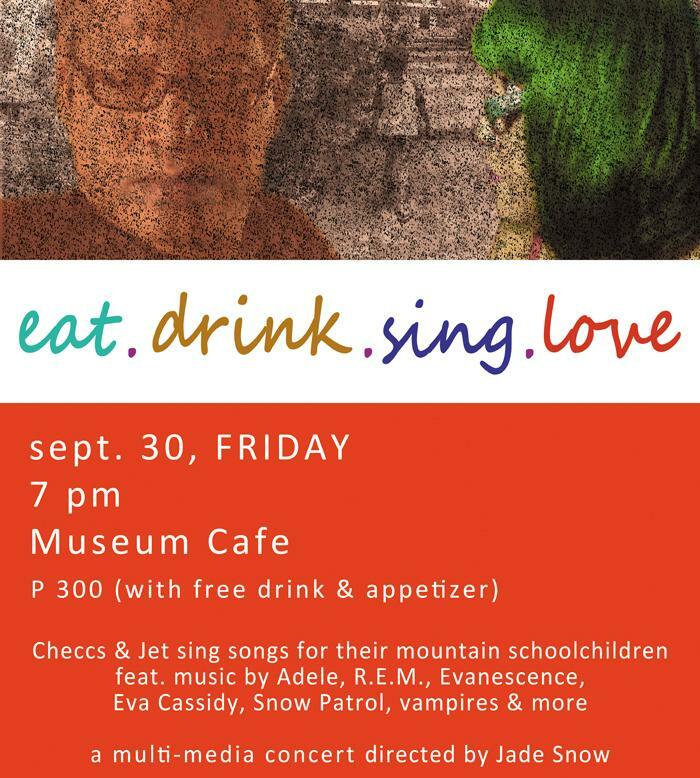 Eat.Drink.Sing.Love on September 30, 2011, Friday 7pm at the Museum Cafe. 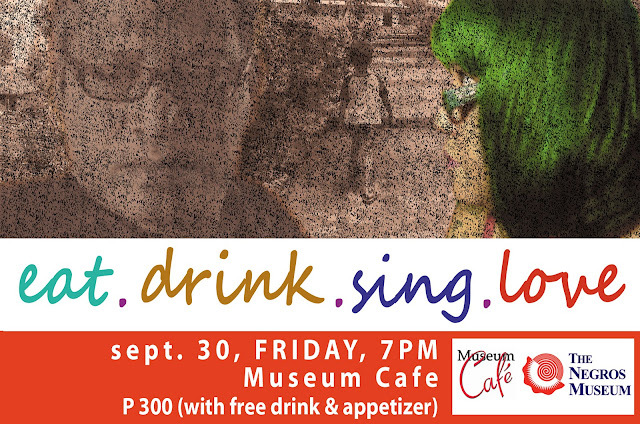 P 300.00 with free drink and appetizer. Checcs and Jet sing for their mountain schoolchildren. featuring music of adele, r.e.m., evanescence, eva cassidy, snow patrol, vampires and more. a multi-media concert directed by Jade Snow. please message us or contact: 09154472885 or 7085080.
some of you have been fervent supporters of our R.E.C.O.P. projects for mountain schoolchildren. for the rest who have not known about our program - jet and I go up the mountains to bring wholistic activities to schoolchildren. almost all of these schools are inaccessible to vehicles, do not have electricity & water, bereft of resources and school supplies. most of the boys leave school before adolescence to work the sugarcane fields and girls are married off by the age of 15, some as young as 13.
most of the schoolchildren have never seen a TV set and will never ever leave their small sitios. they have no concept of the city or the Philippines, aside from pictures they see in old books. they only have 1 pencil every schoolyear. some siblings break a pencil in half and share it. they do not own notebooks or pad paper. they have never seen modeling clay – they think it is candy. they do not have school shoes. a pair of slippers should last at least 2 years. some walk to school barefoot for hours and when they’re inside their classroom, only then shall they wear their slippers. most of them eat only 2 meals a day – a cup of rice and dried fish heads. together with volunteers, we go up the mountains and deliver the hope that they can be better than what they already are. we feed them 3 nutritious meals each day for 2-3 days. most of the time, we feed the whole community...at times, reaching 700 people. we give them books, bags (made from recycled tarpaulin), slippers, pad paper, notebooks, pencils, ballpens, rulers, erasers, art paper, bond paper, drawing paper, crayons, scissors, paste. some of you may think these are just material things but these school supplies give them a sense of pride and ownership. the art supplies make their hands busy and trigger their creativity. we read them stories while projecting pictures in a big screen. we teach them to draw and paint. we ask them to do collages. we teach them to sculpt with clay. then, we give awards to the best artworks. we give them sports equipment like volleyballs, footballs, pingpong sets. sometimes, hula hoops and skipping ropes. we teach them sports. we give their parents bags of rice, medicine kits and teach them basic first aid and CPR. at night, they delight over films shown in a big screen…complete with sound system. almost all of them have never had this experience of watching films. this is why some adults walk for hours just to attend the film showings. now, you ask where you come in. every year, jet and I fundraise to cover some of the expenses of these mountain trips. the fundraisers vary as we go along. 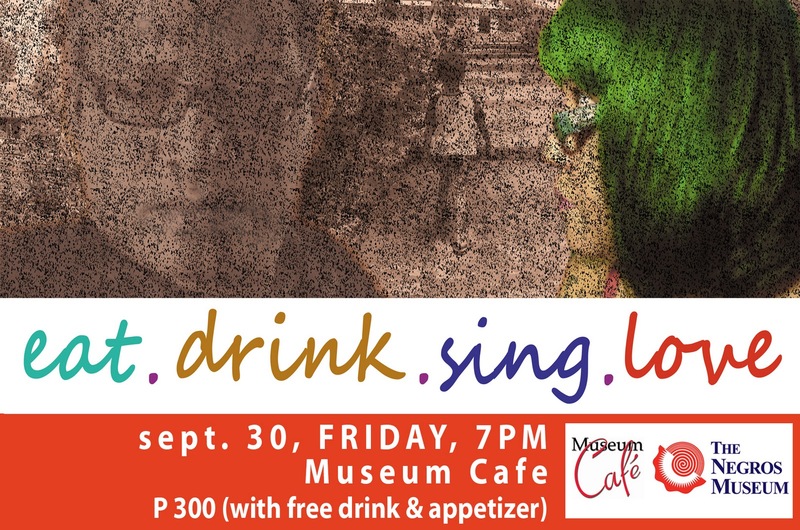 this year, we thought of doing a show at the museum café of the negros museum. the multi-media show will be directed by our friend jade snow…with production design by dr. adrian torres. 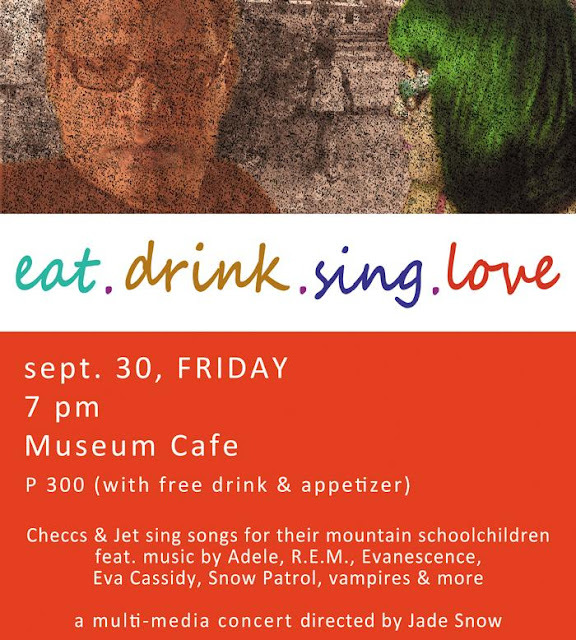 jet and I will be singing a myriad of songs…from adele, R.E.M, evanescence, eva cassidy, and more. some of the songs will be accompanied by short film clips. in addition, we sold some of the songs to our loyal RECOP supporters. each special song is for P 500 only – during the show, we dedicate the song to the buyer! maybe you’d like to request one, too? we can dedicate the song to you or your special friend...or family or pet. but be sure to get in touch with us asap so we can have time to learn your song. by the way, tickets are P 300 each and come with a free drink and appetizer. there are only 70 seats at the café. jet and I are fervently asking you to come and watch the show. please, please help us give mountain schoolchildren the hope that they can have a better life…and that they are not solely bound to the land they till and that there is a bigger world outside of that which they know of. with your support, we can change their lives. you can make the change now by picking up the phone and calling Tata at the negros museum - 7085080 or 0915-4472885 to buy/reserve your tickets. thank you and see you on September 30, Friday at 7 pm! For more information about RECOP and watch our videos, pls visit www.recop.weebly.com or search for RECOP here in FaceBook.